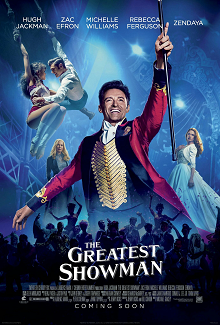 The Greatest Showman is a bit of a throwback to musicals of yesteryear, with big lavish musical numbers that are generally upbeat and spectacular. I cannot think of any original number that was slow or meditative because the only times we had any sense of sadness was when the songs were slower. A bit thin on plot and not much info on its subject, it's still a big show befitting the grandiose ideas it strives for. Phineas Taylor Barnum is the poor son of a tailor, one so poor he cannot afford shoes for his son. One of his clients is the wealthy Hallet family, and young Finn soon falls for their daughter, Charity. The Hallets have charity for none, and certainly no Charity for Finn, even sending her off to boarding school to get away from this peasant. Love, however, will not be denied, and even after he becomes an orphan and is forced to fend for himself, helped along by society outcasts. Eventually, however, he makes a small fortune and takes Charity as wife. All this is covered in one song. Charity (Michelle Williams) gives birth to two daughters, but P.T. Barnum (Hugh Jackman) still dreams of the fantastic and of providing wealth and comfort for his family. With a lot of flim-flam, he secures a loan to exhibit his oddities in a 'museum', but people don't want to come for waxworks. "Bring something that's alive," his daughters suggest, and with that, he scours the city for those 'unique' people. Barnum does find the outcasts, including a midget he proclaims "General Tom Thumb" (Sam Humphrey) and Lettie Lutz (Keala Settle), a bearded lady with an angelic voice. Also among his troupe is the acrobatic brother and sister W.D. Wheeler (Yadhya Abdul-Mateen II) and Anne (Zendaya), who are black. Ever the optimist Barnum puts on lavish shows which the public loves, though the elites still look down their noses at his collection of 'freaks', with many ruffians calling they be expelled. Barnum, however, finds an unlikely junior partner: Phillip Carlyle (Zac Efron), scion to a wealthy family and playwright bored with his bourgeois life. Phillip reluctantly is persuaded to be a silent partner and also finds himself drawn to the beautiful Anne, though interracial romances are still taboo. A Royal Command Appearance before Queen Victoria sends the troupe to London, but it also sends Barnum down the road to nakedly craving respectability. He finds that in Jenny Lind (Rebecca Ferguson), an opera diva whom Barnum has not only never heard of, but has never heard. Taking a huge gamble, he books Lind to come to America, dubbing her 'The Swedish Nightingale' and hoping he does not flop. She does not disappoint, taking America by storm. He is now culturally besotted with Lind, though there is no romantic aspirations from his part. Barnum is so invested in Lind that he pushes his oddities away, fearing how black and bearded ladies will impact his new-found poshness. Leaving the running of the Circus to Carlyle, who still struggles between love and society, Barnum books Lind on an American tour. Lind finds herself with aspirations to be if not the second Mrs. Barnum at least his mistress, but he stumbles in his rejection of anything more than a professional relationship. Lind cancels the tour in a pique, and this is the first of Barnum's travails. He finds himself virtually bankrupt, his Museum burns down, and Charity, outraged by the publicity of an alleged romance and his pushing away of everyone, leaves him. 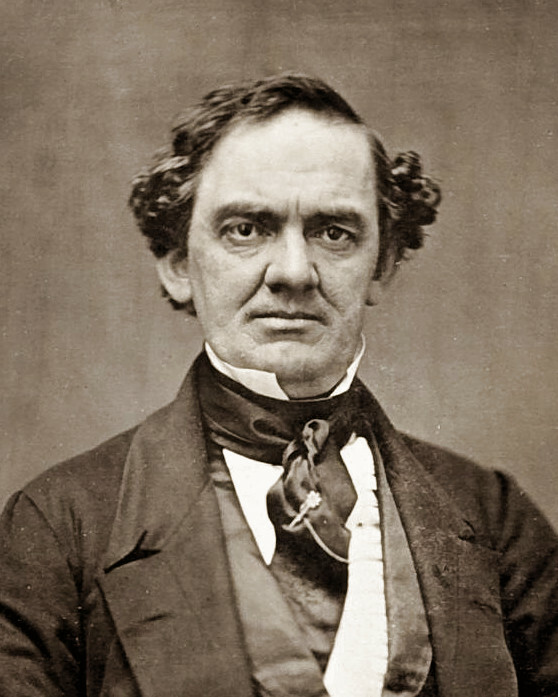 Barnum, seeing the error of his ways, restores himself to both his families, and out springs The Barnum Circus. Barnum leaves the Circus to Carlyle, who at last has surrendered his heart to Anne come what may, to devote himself to his family. If you come to The Greatest Showman to learn about P.T. Barnum, good luck. While it is 'based on' his life, we don't really learn that much about him. He a bit of Ed Wood in that he is almost always upbeat, with disasters only slowing him down a touch. He also has an insane drive to be the top dog at everything, especially showing up his father-in-law, whom he publicly humiliates in front of Lind at her debut. Apart from that, the Barnum in The Greatest Showman is a bit of a mystery. We would never have guessed he was involved in politics or that despite his own predilection for pulling fast ones on the public, he was a crusader against frauds (he thought it was acceptable to be fraudulent so long as the public knew they were being hoodwinked). If you don't learn much if anything about Barnum, you learn less about anyone else around him. General Tom Thumb (real name Charles Stratton) would make a fascinating biopic on his own. He was a highly talented actor, singer and dancer who became a respected celebrity, even once being received by President Lincoln. That, however, is not the idea of The Greatest Showman, for all the people around Barnum have no existence outside of him. Apart from the Carlyle/Anne subplot, everyone else pretty much seems to be waiting around for their big number. Of particular amusement is with his daughters. My mother made a most fascinating observation: that despite the film spanning several years, neither Caroline or Helen Barnum aged. "He should have put them in his show: The Girls Who Never Age", she quipped. However, to quibble on such details would be to miss the point of The Greatest Showman. This is not a biopic. Instead, it is an excuse to have big, lavish musical numbers. We start the film with one: The Greatest Show, as big a musical number as has been seen outside of Moulin Rouge!, and I have to admire some elements to Benj Pasek and Justin Paul's songs. The entirety of Finn and Charity's romance is covered in one number, A Million Dreams, making this story thread remarkably economical. Every song seems to demand it be a showstopper, from the Jackman/Efron duet The Other Side to the Zafron/Zendaya duet Rewrite the Stars. I guess maybe they could find their own City of Stars, but I digress. Even Lind's opera debut has to be a big empowering number, Never Enough being perhaps a strange song to sing for a non-pop diva. The best-known number is This Is Me, as big an colorful a song that again fits into the idea that everyone needs a big boost to move forward and be yourself. Let your freak flag fly, Bearded Lady. I thought the songs were great and entertaining, which is what The Greatest Showman strives for. Whether they were similar in that they were almost all big, bold and always striving to reach the rafters is up to the viewer. I think of other musical films, which had those big numbers but also more contemplative moments: for every The Night They Invented Champagne there was an I Remember It Well, for every The Sound of Music there was an Edelweiss, for every America there was a Maria, for every Everything's Coming Up Roses there is a Small World. Even something more contemporary, like Hairspray, had at least one slow, contemplative number: I Know Where I've Been, to counter against the relentless uptempo numbers like You Can't Stop the Beat or The Nicest Kids in Town. The Greatest Showman has no such restraints, as even the 'slowest' number, Never Enough, is less contemplative and more power ballad. Even if I were to concede that the love ballad Rewrite the Stars or Tightrope were the 'slow' numbers, the production itself is so big that it mutes the sense of romance for spectacle. I think that many numbers were directed in that frenetic music video-type manner by Michael Gracey, who directed music videos. I note the frenetic style in The Other Side where the choreography was surrendered to how much the audience could be 'dazzled'. I suspect Fred Astaire would not approve at the camera flying all about. Performance-wise, I thought Jackman did what he could in the non-singing moments given Jenny Bick and Bill Condon's screenplay did nothing with his Barnum save make him the ultimate 'get-up-and-go' type, who really is never fully dressed without a smile. When he does his musical moments, it's clear Jackman is at heart a song-and-dance man, pouring himself with glee into his role. The dramatic lift is carried by Williams, who similarly did wonders with her Charity, the ultimate in 'supportive wife' role. Efron, to my mind, had a deeper voice than the one I remember, and he knows how to handle musical numbers. I cannot say that his dramatic performance was strong, and the same goes for Zendaya, whom I'm still not sure who she is, but they made a lovely couple. The Greatest Showman is not interested in giving us a portrait of P.T. Barnum, or even a Wikipedia-type look. It just wants to dazzle us with big musical numbers and a message of optimism and accepting yourself. It's a good message, couched in big, slightly over-the-top numbers. It's a good time to be had by all, and I imagine that our dear Mr. Barnum would approve.